Book now and receive 1 FREE MJ LIVE Show ticket! 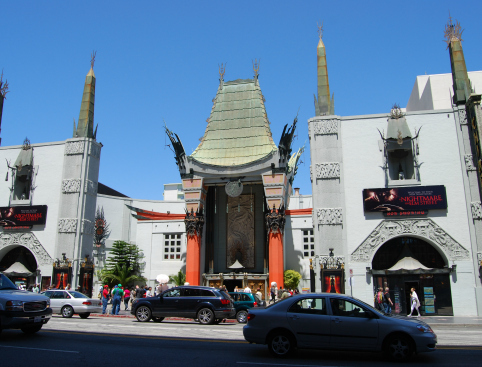 See all the must-see sights in Hollywood on this day tour from Las Vegas. Travel in a luxury Mercedes Benz Sprinter for the ultimate in VIP comfort. See the Walk of Fame, Santa Monica Pier, Rodeo Drive, Grauman’s Chinese Theater and more! Includes a delicious lunch and hotel transfers. Availability: Tuesdays, Thursdays and Sundays. Don’t Miss: Seeing the legendary Hollywood Walk of Fame! 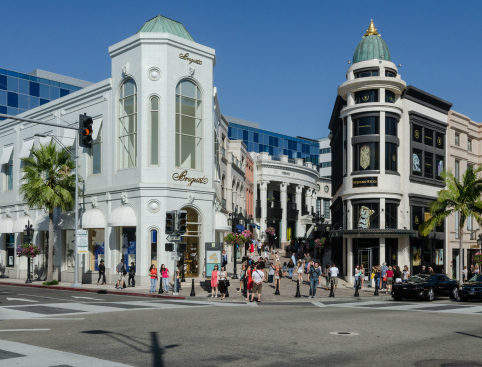 Enjoy a day of Hollywood glamour on this tour by VIP luxury vehicle from Las Vegas! 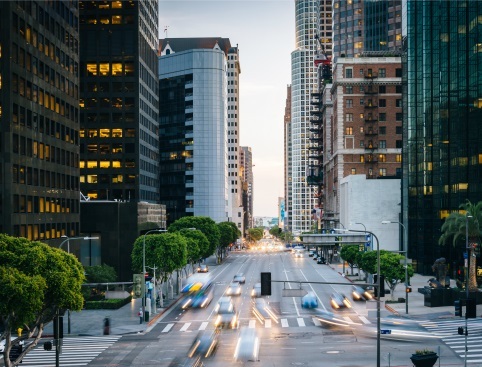 See the biggest sights including the famous "Hollywood" sign, movie star homes, the Hollywood Walk of Fame and much more. Take some time out from Las Vegas for a day filled with all the magic of Hollywood! You’ll make the scenic journey to LA on-board a luxury Mercedes Benz Sprinter for the ultimate in VIP comfort and style. Arriving in Hollywood, you’ll take a guided tour of the most famous sights, including the homes of many famous movie stars! 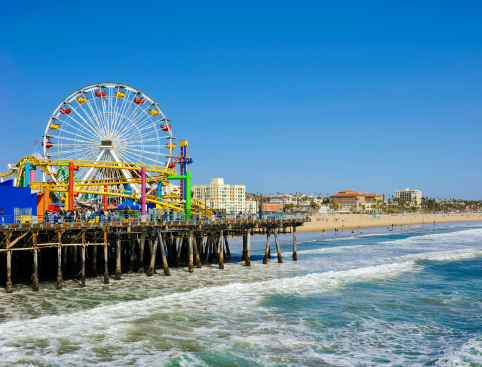 Enjoy a relaxing stroll along Santa Monica Pier and spend some time on the beautiful beach. A delicious lunch will be served at Rusty’s Surf Ranch, located on the Santa Monica Pier. Next it’s time to drive by the famous "Hollywood" sign – an unmissable photo opportunity! 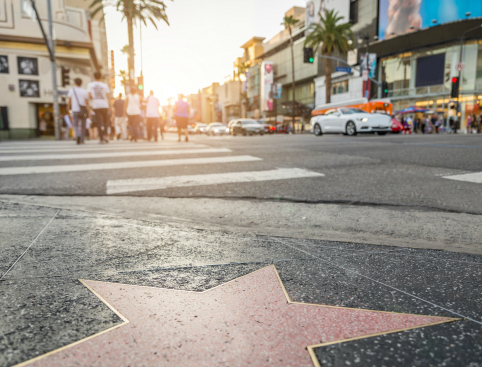 Keep your eyes peeled for A-list celebrities you take a walk along the Hollywood Walk of Fame. Pass the famous Grauman's Chinese Theater, Sunset Boulevard, and Rodeo Drive as you drive to Beverly Hills to see the homes of the stars. Please allow a full day (approximately 14 hours) for this tour. Hotel transfers are included in a Mercedes Benz Sprinter. This tour includes an English-speaking driver/guide. Layered clothing and comfortable shoes are recommended. The tour can accommodate a collapsible wheelchair. Passengers would need to be able to get on/off without assistance and some walking is required. Beverages, snacks and lunch are included. Hollywood Day Tour - from Vegas + FREE Show is rated 4.3 out of 5 by 3. Rated 5 out of 5 by Daveyboy from Great day We really enjoyed Santa monica beach and Beverly Hills but were slightly disappointed with Hollywood. Greg our guide was both amusing and knowledgeable, making a very long day a pleasure. Rated 4 out of 5 by HannahS from A looooong journey As an overall trip it was definitely value for money but the travelling wasn't worth the time spent in LA. We were picked up at 6.30 am and made our first stop at 12.30 so 6 hours to get there and then we had 3 different stops which were all good but it was another 6 hour journey home. So in total we were probably only out of the bus for 4 hours. The drivers were very informative and friendly but spending 12 hours going too and from LA wasn't worth it for what you saw. Rated 4 out of 5 by markylyssashava from good value for money I booked the trip for myself and my wife. The tour operator was fab, lunch on santa Monica pier was great but la itself was a disappointment and I wouldn't go back. All in all it was good to say I've been and couldn't fault the trip just not a fan of the place.